Since assuming power in July 2017, British Columbia’s NDP government has enacted or announced several significant tax increases. These include increases in personal income taxes, carbon taxes, and business taxes. In addition, a new payroll health tax has been created in place of the remaining MSP premiums and a variety of residential property taxes have been instituted or raised. Collectively, these tax increases are expected to add a further $2.45 billion to the tax burden of British Columbians. Once the tax changes are fully implemented, the average family's tax bill will increase by a total of $959, not including tax increases on residential properties. British Columbia families across the income spectrum can expect to pay more in taxes. 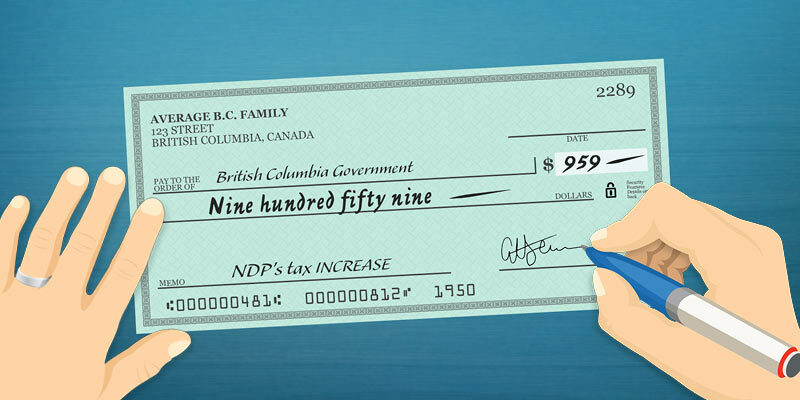 Specifically, the increase in total taxes ranges from $199 for an average family in the $20,000 to $50,000 income group (after accounting for the enhancement to BC’s climate action tax credit) to $1,754 for an average family in the $150,000 to $250,000 income group. This analysis excludes property tax increases.